For as long as I can remember, I've wanted to create an oracle card deck. It's fun to write, make videos, and create content, but there's nothing quite like being able to feel and touch a physical product. I've also (for as long as I can remember) have been letting my intuition guide me. 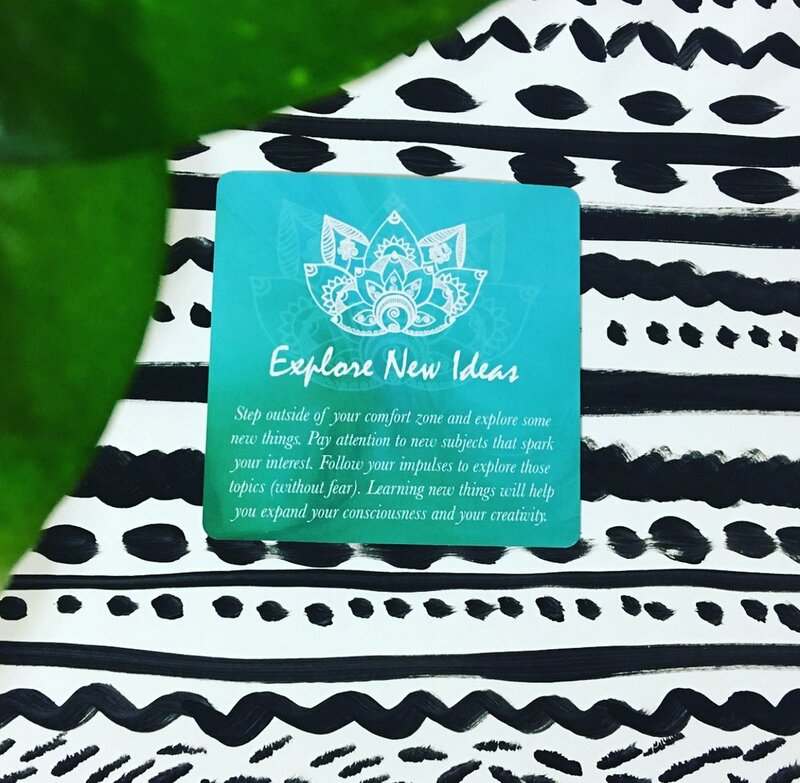 One day, my intuition asked, "why haven't you created that card deck that you've always wanted to create?" So, I set out to do it. Painted the backgrounds for each card. Digitally enhanced the painted backgrounds with Photoshop. I then tapped into my soul's wisdom to create the wording for each card. As I moved through the process, my Creative Core came up with idea after idea. Fear & insecurity did creep in a little bit. As creatives, we always want what we create to be the best that it can be, and there were so many times that I thought the cards just weren't good enough. I silenced that inner critical voice however. 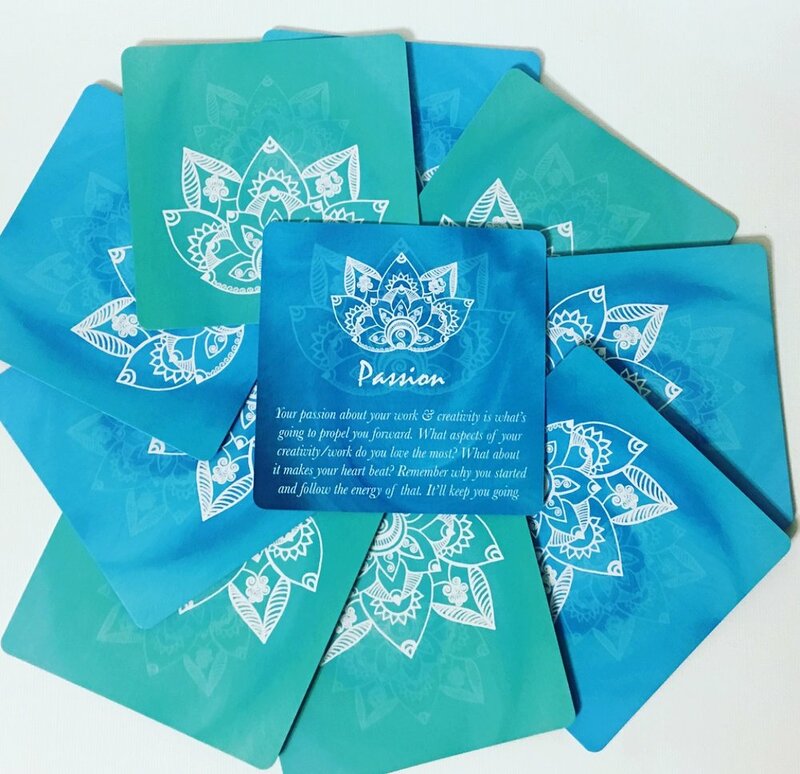 I knew I had to buckle down and trust that I could bring these cards to life, and now guess what, the 44 soul-wisdom & love infused cards are here and they're beautiful! Take a look below. The card deck is super easy to use and there's only a few steps. These are only guidelines. I really want you to make this card deck your own and work with them in the way that resonate with you. Some people like to clear their card decks with sage or crystals before they begin working with them ~ that's great! Do whatever helps you connect with the cards. They were created with the best intentions and I'm sure that you'll enjoy using them for your creative path. 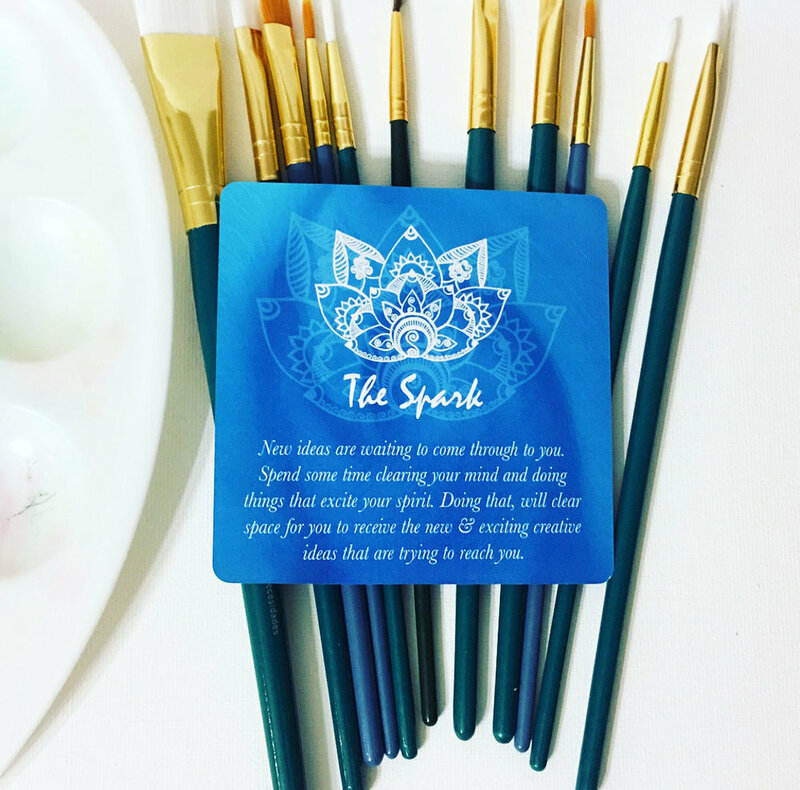 Set an intention for how you would like to work with the cards (daily, project by project, or spontaneously). Shuffle the card deck (face down) at least 10 to 15 times. 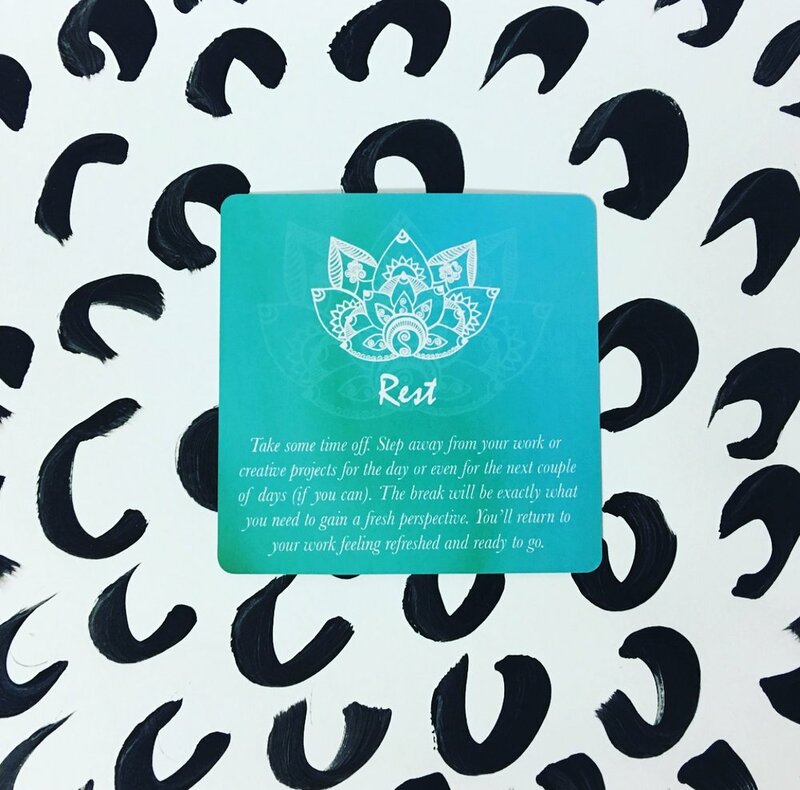 Let your intuition guide you to the card/cards to choose for your reading. 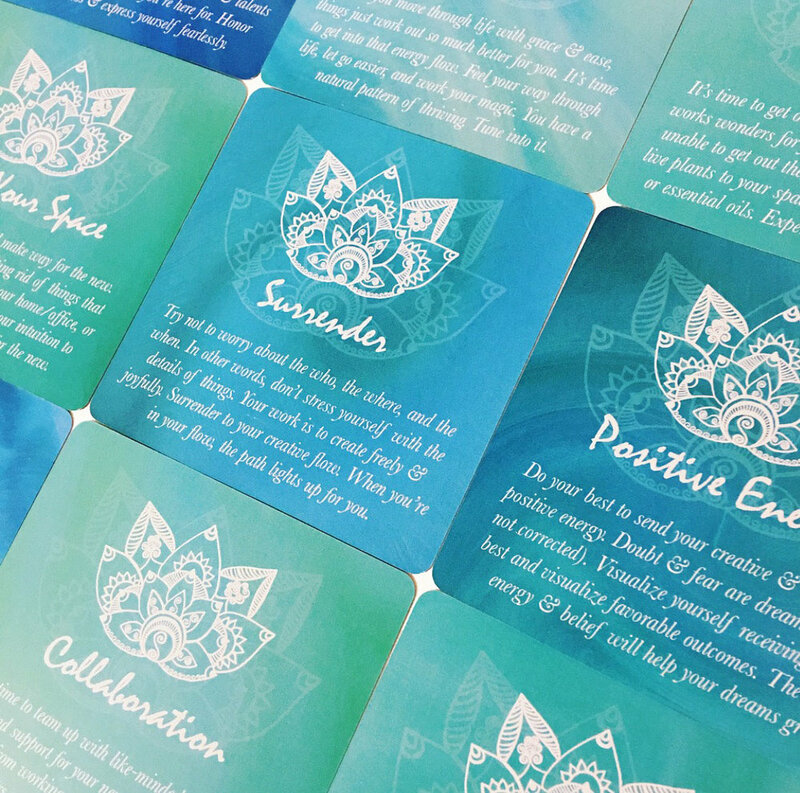 You can choose one card to guide you for the day or for your project. 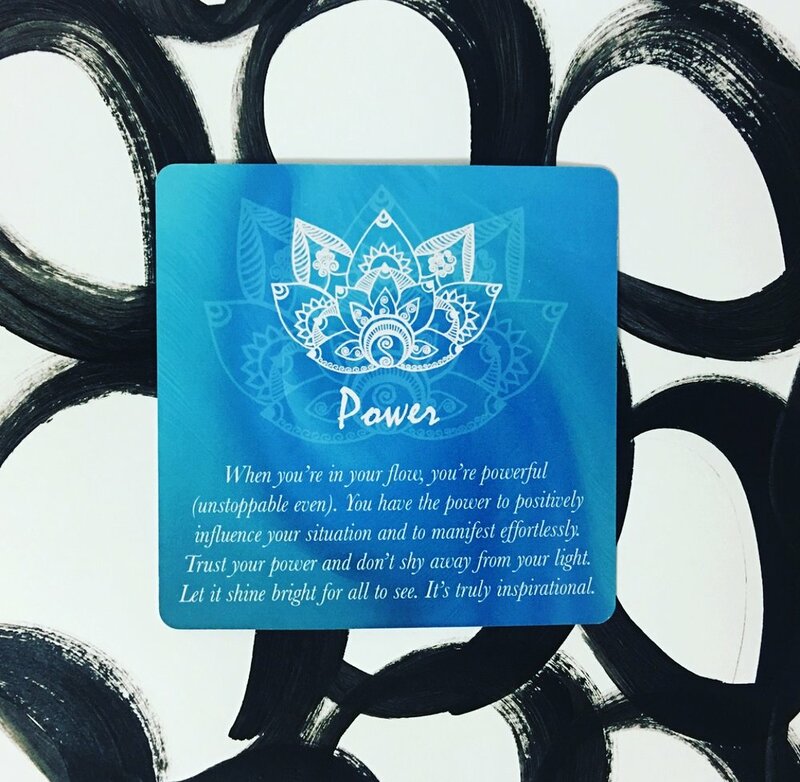 You can also choose 2/3 cards if you want more guidance or you can choose 3 cards and pick the one that resonates with you the most to use as guidance for the day. Once you've chosen your card/cards, read the message, trust it, and follow its guidance. Your intuition may also chime in with some guidance for you regarding the card. Be sure to listen & trust that the message is what you need for the time. That's it. Most of all ~ have fun and get excited about the new that's in store for you. The first day that I received the cards, I pulled a few for myself. All positive ~ great messages and exactly what I needed to hear. The second day, can you believe that I pulled the same exact cards. I kid you not. I just sat there in awe and I kept saying, how is that even possible? Out of 44 cards, I picked the same 3 cards. The cards wanted me to know that I had a unique expression, that my gifts & talents deserved to be shared, and that I didn't have to wait for things to manifest in order to feel good, I can feel good right now. My Creative Core wanted to get those messages across and when I pulled the same cards the second time, there was no doubt in my mind that it was something that I had to pay attention to. So, give them a try. I can't wait for you to experience your own connection to these cards. Let me know how it goes, share your photos on social media using the hashtag #ccoraclecards. Also be sure to tag me (@spiritandmuse on IG and @SpiritandMuse on Twitter) in the photo. You can also write in with feedback, comments, and testimonials. Email me directly at reneeb@spiritandmuse.com or use this contact form. 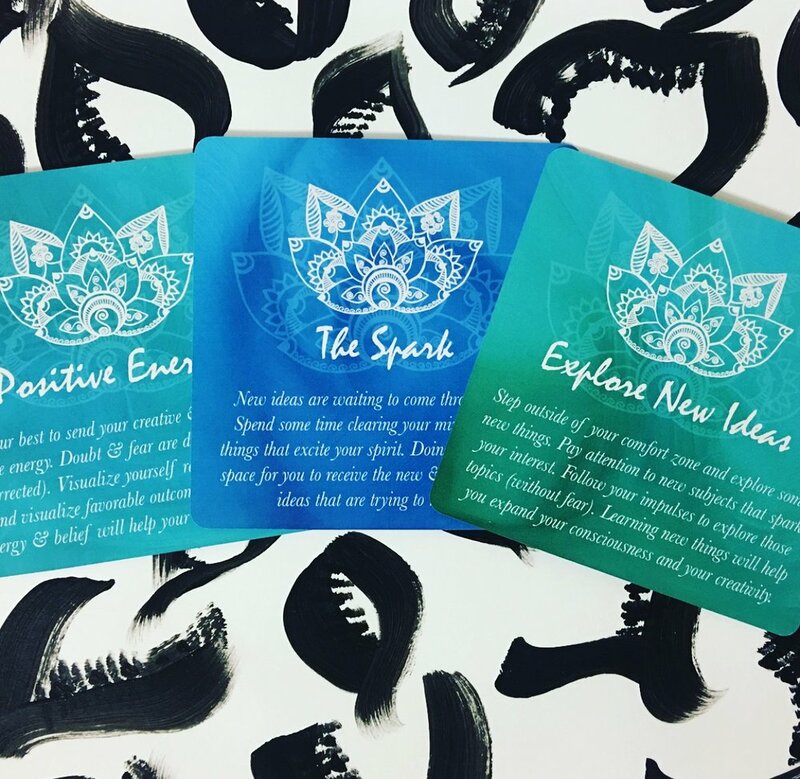 I would love to hear how these cards inspire you & guide you on your creative journey. P.S. There's also a shrink-wrap version of the oracle cards available ~ it will not come with the custom designed tuck box. You can purchase the shrink-wrap version for $24.00 here.